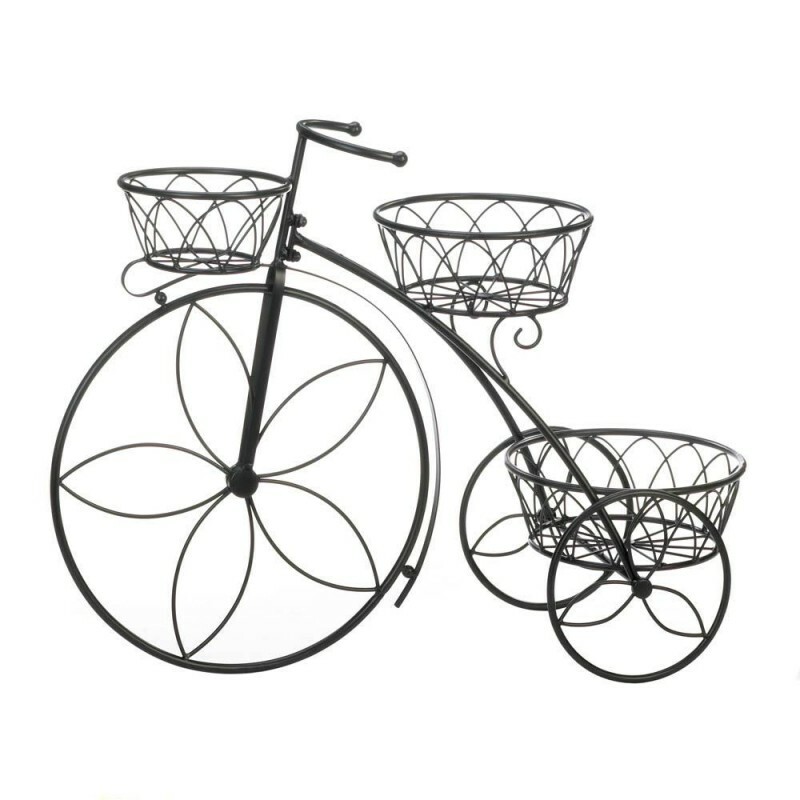 This charming bicycle plant stand is perfect to show off your favorite potted plants. Its European design will enhance your home, deck or patio. Weight 5.4 pounds. 29.5" x 11" x 22". Iron.